Why this time of year is filled with fish, trees (real and animated), and an NYE ball that goes up. Santa Claus is coming to 'tahn. ‘Tis the season. The holidays in Pittsburgh are in full swing — the ice rink at PPG Place is open, Light Up Night has come and gone, and the city is full of holiday decorations. It’s a time of year that’s filled with annual traditions. But have you ever wondered about why some Pittsburgh holiday traditions exist? We dove into our archives to find explanations for eight popular local traditions. If you still have questions about a local tradition we didn’t include, let us know here, and we’ll find the answers. Light Up Night has long been a November tradition to kick off the holiday shopping season. But it actually started as a way to celebrate the Pirates, and the first one was in April 1959. But in 1960, it became the holiday tradition we know. Light Up Night went on hiatus starting in 1973 to conserve energy and returned in 1982 in an attempt to raise morale during the steel industry collapse, per the Downtown Partnership. 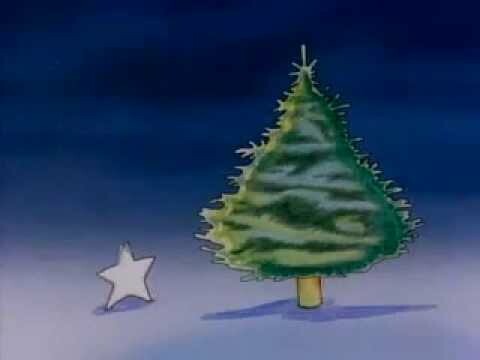 This tree isn’t one you can go visit, but rather it visits you — through the Eat’n Park Christmas star commercial. Started more than 35 years ago as a “a holiday card on video to thank the city of Pittsburgh for their support of Eat’n Park,” watching the commercial remains a popular tradition. Typically airing for the first time during the Macy’s Thanksgiving Day parade broadcast, it’s a sure sign of the holidays. From 1994 to 2002, the Pittsburgh Downtown Partnership used the holiday theme “sparkle season.” And it didn’t go well. Here were some creepy mice (from "The Nutcracker") at last year's Christmas tree lighting at the City-County Building. It’s a city tradition to rely on residents to provide the Christmas tree that goes on display on the City-County Building portico. The search process for a massive Douglas fir — or related evergreen species — starts in late summer with a call for donations. Typically, the city will get between five to seven calls each year. Trees are judged for their quality and also how easy they will be to transport Downtown. The winning tree is cut the morning of installation. This year’s tree was donated by the Jurecko family in Polish Hill and is filled in with branches from a tree donated by the Orban family in Morningside, TribLive reported. The 2017 tree came from John Zitelli in Regent Square. The Pittsburgh Crèche is the only “authorized replica” of the Vatican’s Nativity scene in the world, according to the Catholic Diocese of Pittsburgh. The massive nativity scene sits on the privately owned U.S. Steel Tower plaza and has been there since 1999 following a tussle about Nativity scene displays in Pittsburgh. In 1986, the American Civil Liberties Union’s Greater Pittsburgh Chapter sued Allegheny County over two displays: a Nativity scene inside the county courthouse and menorah, paired with a Christmas tree, outside the City-County building. The U.S. Supreme Court heard arguments in the case in 1986 and ruled in favor of the ACLU regarding the Nativity scene but against the ACLU regarding the menorah. Then, in 1996, local Christian church leaders decided to build a Nativity scene on city-owned land in Gateway Center. It stayed there for three Christmases before it was replaced with the privately-funded Crèche that exists today. At left, dishes from the Feast of the Seven Fishes. At right, the Argentine family, of Pittsburgh's South Hills, celebrating the meal in 1969. A tradition for more than a century, this meal includes seven varieties of fish to be eaten with the family before going to midnight mass. The tradition was brought to Pittsburgh by Italian immigrants, who continue it here even those in Italy stopped. The feast is designed to bring the whole family together and while the types of fish can vary, baccala, smelts, calamari and a smattering of eel, clams, mussels, salmon or tuna are typically included. The Future of Pittsburgh ball. In Times Square, a packed crowd counts down the seconds for the New Year’s Eve ball drop at midnight. But in Pittsburgh, the New Year’s Eve ball goes up. It’s called “The Future of Pittsburgh” and it channels the same “energy and enthusiasm of New York City’s Times Square.” The ball debuted as the calendar changed from 2006 to 2007. It’s environmentally-friendly and shows that Pittsburgh is a city on the rise. The tradition of eating pork and sauerkraut on New Year’s Day to ensure good luck in the coming year is a German custom that was brought over by the Pennsylvania Dutch. Pork is good luck because a pig roots forward and its snout symbolizes progress, or so the folk saying goes. Sauerkraut on New Year’s = a sweet year and the long strands symbolize a long life to be lived, while the green color equals money. What have you always wondered about holiday traditions in Pittsburgh and our region?